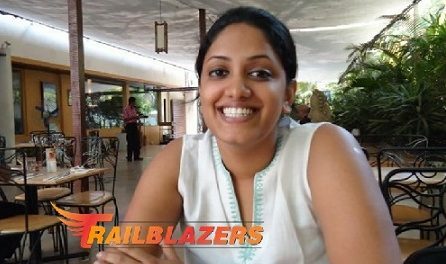 Sneha Nair, Home Chef, specializing in Kerala cuisine. 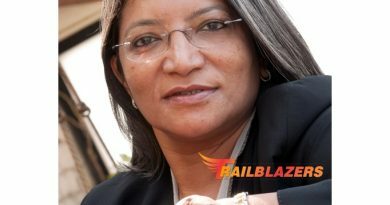 A Developmental Economist by education, Sneha spent four years working in Private Equity and Asset Management in Mumbai. Two years back in June 2104, she started a service called ‘Poppaddum’ which aims to bring people together for a simple home cooked meal (Keralite). The idea is to help revive recipes, food habits and the culture of eating together which is slowly getting lost in this fast paced life. It also helps people meet new people who aren’t from their peer group, or existing social circles. Every weekend Sneha serves up sadyas (traditional and often festive Keralite meals involving a selection of dishes served on a banana leaf) inspired by traditional Syrian, Malabar Muslim, and Kerala Hindu cuisines. The theme and menu varies with each lunch which — like all of Poppaddum’s lunches – are served in the informal setting of Nair’s home on banana leaves. 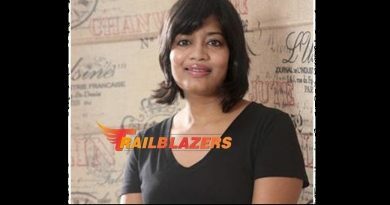 Having started as a weekend hobby, today, she has successfully retailed her products, worked with restaurants in Mumbai to help with menus, catered, done pop up markets and also started a Youtube show https://www.youtube.com/playlist?list=PLcFbkjQAe9klnuXquh02K0lcQGwUflpQY he is also in the process of working on a food tour that will take Keralite food across and help create an awareness that extends beyond Idli and Dosas. After two years in Mumbai, it was time to explore new places. So in October 2015, I moved to Bangkok. Starting all over again has been the most challenging aspect. It is also a great leveller. My Father. I never quiet understood what it is like to be an entrepreneur. Having come from a background of business, I was convinced, it is not that something that I’d ever do because of the challenges. But the last two years have been an eye opener of sorts. Small habits imbibed into me when I was young, now seem to make a lot more sense than what it did back then. My father is my greatest inspiration because he is a survivor and has always added value to the lives of people around him and continues to stay humble through it all. Choosing to quit a comfortable job, and following my passion for food and history. It is really a matter of perspective for me. In my relationship with my husband, he is most definitely the better half. He is more grounded, patient, and a better listener than me. I consider myself quiet lucky for the same. However, having said that, in society, women are the better half. Women are survivors and the keepers of the world. There is a Goddess in each and every woman whose struggles we barely even understand.